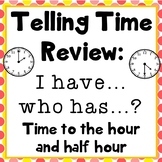 Telling Time Review Game for Spanish Class ¿Qué hora es? 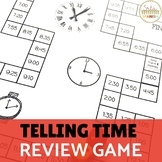 This Spanish Telling Time Review WS is 2-sided. 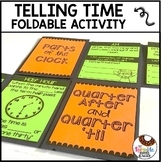 Half of the problems require students to draw in the hands on a clock based on the Spanish time provided, and the other half of the problems require students to write the time in Spanish under each given clock. This is a 7 slide review Power Point of telling time. It includes the numerical time and the possible answers for each time. 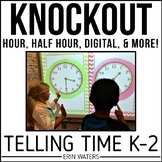 This is a review powerpoint about telling time, including time to the nearest minute and elapsed time word problems. 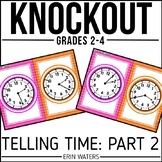 This review gives the students pictures of clocks to draw the time and match the time. 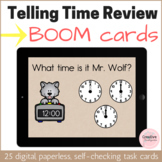 Use this worksheet as a quick review of telling time in Spanish. 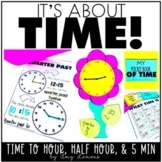 Reviews times on the hour, before half past, half past, and before the hour. 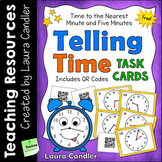 Also includes 8 questions to practice writing out the time.